We present a patient with known episodic cluster headache, who presented with cluster-like headache in the course of internal carotid artery dissection (ICAD) and discuss possible pathophysiological links between the two diseases. 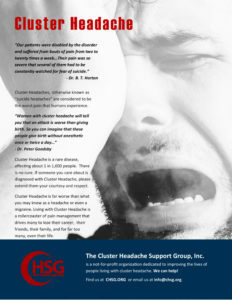 It is well known that cluster-like headache could be the presenting symptom of ICAD. However, ICAD occurring in a patient with a known episodic cluster headache was only once previously described.